The United Nations agency tasked with advancing gender equality on November 20 announced a new initiative that will spotlight countries' commitments to end violence against women and girls, seeking bold action and leadership to galvanize efforts to end the pandemic. “We all must do better to protect women and prevent this pervasive human rights violation,” said the Executive Director of the UN Entity for Gender Equity and the Empowerment of Women (UN Women), Michelle Bachelet. 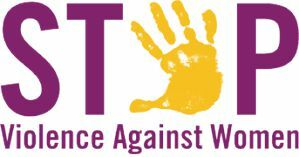 According to UN women, currently, there are 125 countries which have laws that penalize domestic violence. However, up to seven in 10 women continue to be targeted for physical and/or sexual violence in their lifetime, and 603 million women live in countries where domestic violence is still not a crime. The new initiative, COMMIT, asks governments to make national commitments that will be showcased globally, encouraging countries to come up with new policies to protect victims. “We need increasing numbers of women in politics, law enforcement, and peacekeeping forces. We need equal economic opportunities and decent jobs for women,” she added. There are high expectations that governments will agree on framework to tackle violence against women and girls in March at the next session of the UN Commission on the Status of Women, which is expected focus on this issue, UN Women noted in a news release.